Langtang Region Trekking consists of a combination of remote culture and spectacular views belonging to the Langtang mountain areas. In Langtang Trekking Packages, you will get the opportunity to explore different things, which include beautiful views of the entire Langtang valley, such as Helambu Valley and Gosaikunda Lake and many more. Langtang Trekking Packages is one of the best trekking packages for short treks in Nepal. 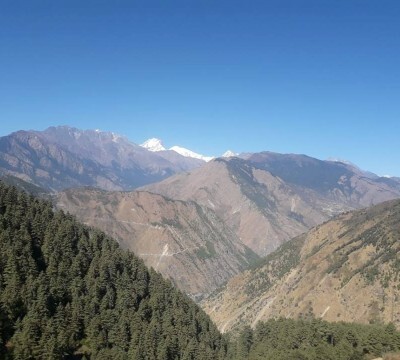 We have described different things in this page include Langtang Valley Trek 5 days , Langtang Himal Trek, Langtang Himal Trek , Langtang Valley View Trekking , Langtang Kyanjin Gompa Trek , Langtang Tour.If you go in our review page and TripAdviser page, you will see Langtang Trekking Packages Review. In addition, Trekking Packages in Langtang gives trekkers with an enjoyment to explore diversified culture as well as lifestyle possessed by Tamang and Sherpa people with panoramic landscape views. You experience Tamang people lifestyle and culture on this region. Here, you may visit two famous places i.e. 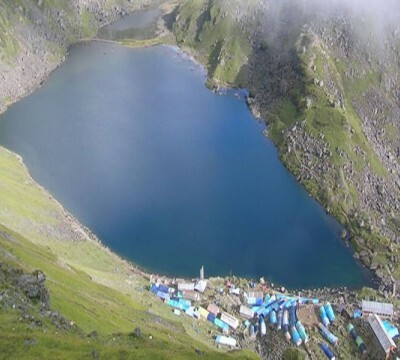 Gosaikunda Lake and Kyanjin Gompa Lake, both of which are holiest places for both Buddhist and Hindu people, while find the renowned Yak Cheese factory. Other than this, here you will find approximately thousand of flora and fauna species, along with diversified culture and various wild animals. Trekking in the popular Langtang region in Nepal lets individuals to find out few of the best secrets of Nepal. The best thing in this case is that one can access the region without taking flight, as it is just in the northern region of Kathmandu and consists of soaring peaks on different sides of the entire valley. Moreover, the trek unfolds the colorful culture, tradition and religion of the ethnic groups belonging to the Tibetan origin across the backdrop of various stunning mountain sceneries. Other than this, Langtang teahouse trekking route goes through a varied landscape that ranges from cascading waterfalls, evergreen forests, sub-alpine grasslands and turbulent streams and close views to various profiles of mountain peaks.